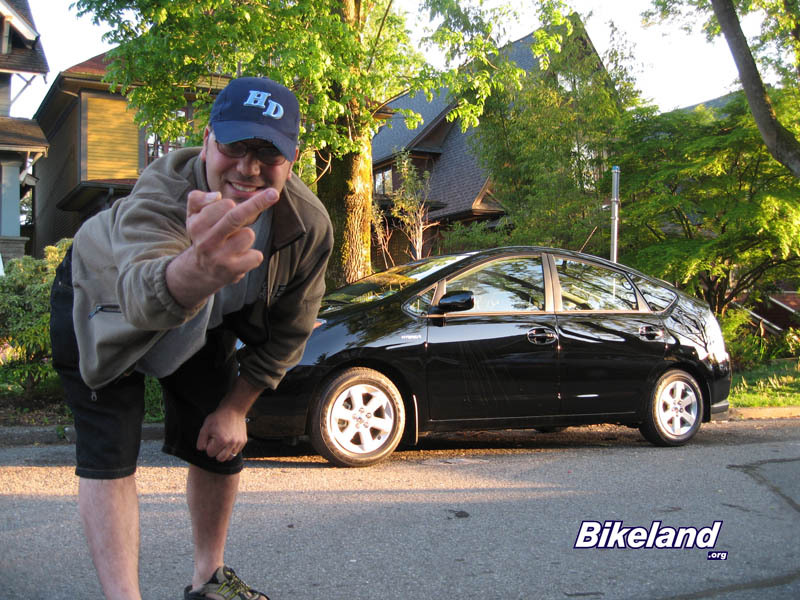 Toyota Prius Forum : Prius Online Toyota Forums > Toyota Prius Forum > Toyota Prius General Discussion > Oh Melgish... you gunna do what you said you'd do?? Oh Melgish... you gunna do what you said you'd do?? What did you say again? If memory serves me correctly, before you editted your post, in this topic you said you were going to "pee yourself"
The glovebox light appears to be on when the headlights are on, even with the glovebox closed (can see a little bit of light through the crack....) should I worry about this / will it run down the battery faster? The CD player... there appears to be no "pause" or "play" button... it just plays... I can fast forward and reverse.. but what about pause or stop? The bluetooth... how do I upload the phonebook from my phone? I select transfer filez, but it just sits there, claiming it's transfering, but nothing happens. Re: FJ Cruiser - Toyota really missed the boat with the FJ Cruiser. Mechanically it was nice, but fit/finish/build quality were atrocious. A real disappointment in many many ways. With Guns, Trucks and Beer, Who Needs Women? Nice car. Congratulations. Why the finger though? 1. The ready light means the car is ready to be driven. Unlike an ordinary car, where the engine is alway running, it isn't obvious that the car is "on" sometimes without it. 2. The light in the glovebox is always on when the car is on. It seems silly but it won't drain your battery when the car is off so you don't need to worry about it. 3. I think the CD player works the same as in most cars but I'm not sure. If the source is selected, it plays. At least I think that's how it and they work. 4. I don't know about the Bluetooth. Different phones from different carriers work differently. My phone from Verizon doesn't allow downloading of the address book at all. Okay.. point taken... makes sense! Most CD players you can pause or at least stop the disc... I guess I'll get used to this.. I suppose I need to get the factory XM radio thingy and transfer my subscription... where's the best place to pick one up? I assume it's an easy (ish) self install? Ya... my Garmin GPS just grabbed the phonebook on it's own... I guess I 'll have to spend some quality time in my driveway figuring this one out. 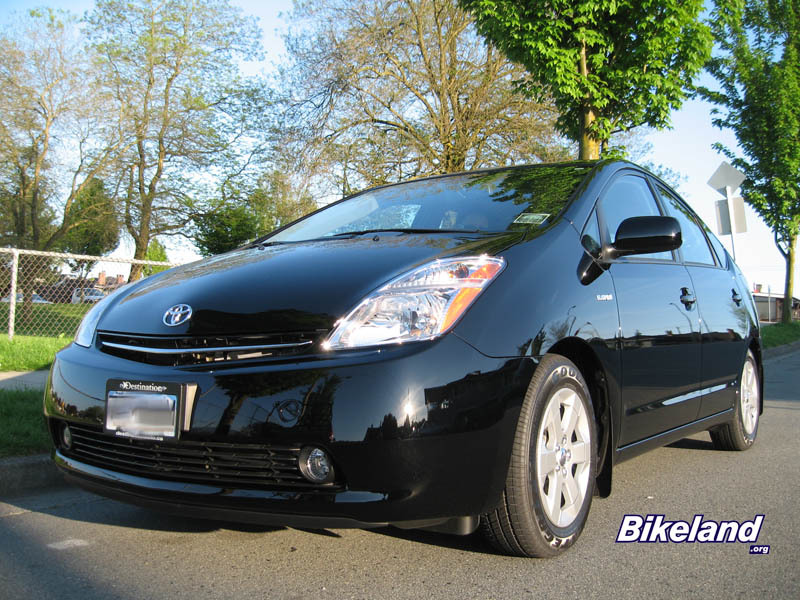 Car drives wonderfully.. lots of power... thinking about making a "You've just been passed by a Prius" sticker for it... that would make me laugh. Thanks to all the info over the years from reading this site, I knew more about the car than the entire sales staff of the dealership combined. They swore up and down the smartkey system was only available on a lexus. Then they had to go out to my prius (ready for me to take delivery) and try it for themselves. A leopard can buy a new car, but he can't change his spots! I guess we can't call you a Troll any more Fish! 2004 Tideland Pearl now belongs to my daughter. 2010 with all the whistles and bells is MINE! On the CD player, that bugs the **** out me, too0. I have noticed, however, that if you change MODES on the steering wheel, it does pause it. The other thing this stereo needs is a mute button. Gotta actually turn the volume down, and that's not quick when it's a button controller on the wheel. 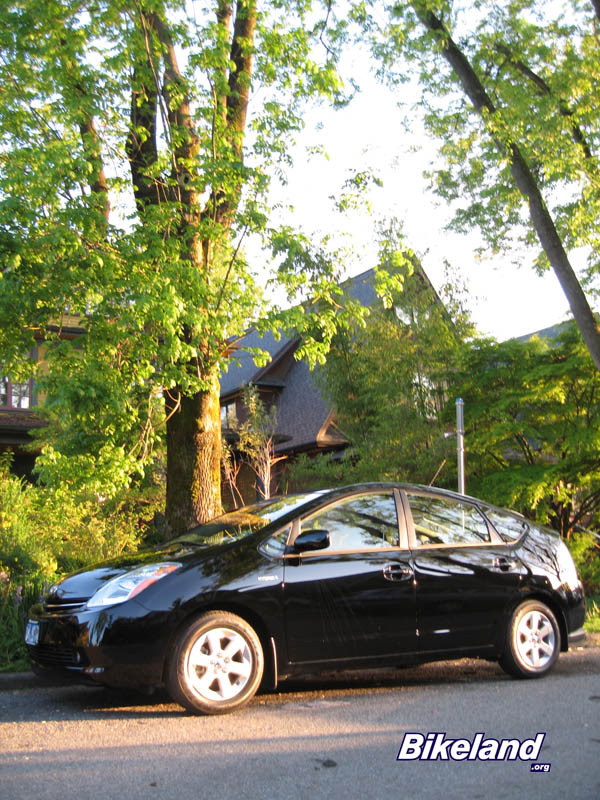 I was wondering why Fish_Antlers suddenly reappeared.. he bought a Prius. OMFG. been checking up on factory XM stuff.. so is this thing from coastaltech a factory unit ie: is it the same as what the dealer would sell? which, while posted in fun...was deemed inappropriate material for the board. Congrats on your shiny black gas-saver. Was it the sparkly finish or $4.00/gallon that won you over? If it seems like you can't spit without hitting a Prius, roll your window down. Did you keep your truck to tow stuff! My wife just got a new Prius but we kept our Jeeps. It's a really cool car isnt it? I filled my 1980 Z28 last summer it took 16 gallons and killed a 50 dollar bill (ouch) It's nice to stick that finger at the gas station huh?